This month, NASA administrator Major Charles Bolden made the headlines of several media outlets, although not because of some major astronomical discovery or the announcement of an exciting new space mission. During a Q&A session with a group of British school children, Mr. Bolden was asked by one of them –10-year-old Carmen Dearing– whether he believed in aliens or not; his answer, of course, was the cookie-cutter “they are out there, somewhere” reply any NASA representative usually gives, and the fact he didn’t even bother to mention UFOs is a veiled indicative of the official contempt for the phenomenon. Curiously enough, Major Bolden also mentioned the existence of Area 51 in that same event –though the newspapers carrying the story were scarce on details regarding what kind of question prompted his admittance; perhaps it shouldn’t surprise us even the younger generations are privy to the infamous military base, given how it’s even been used as a gag in the Looney Tunes’ 2003 film Back in Action. I took umbrage with Bolden’s remarks at The Daily Grail, because they made the Groom Lake Air Force base look like just a regular, run-of-the-mill facility where uncle Sam carries out ordinary, albeit sensitive stuff –kind of like an IRS office in the middle of the desert!– but if it’s such a normal place, why all the secrecy? There are many military installations in the United States which allow guided tourist visits inside their premises. But Dreamland will never be among those, despite what Mr. Bolden’s words would make us or the kiddies believe; and that’s because even though Area 51 has apparently turned into a laughing stock to the rest of the world, and the 2 digits have permeated every instance of our pop culture, the top-secret base is STILL very much operational and as busy as ever. Proof of that is a humongous new hangar which is just about to be completed, located at the south of the base and away from the rest of the other buildings. The first one who made me aware of this was Mr. Norio Hayakawa, a seasoned UFO and Area 51 researcher, who’s been investigating the mysteries surrounding Groom Lake with a very skeptical eye –Norio is definitely NOT a fan of the ETH. He was even able to come up with a link to the latest satellite images of this new hangar, at the TerraServer aerial imagery service. As of June 29th of 2015, feeding Google Earth with the TerraServer coordinates does not show the new hangar, which in understandable given the free software is still using 2002 images in that area. Google Earth was still useful to one of Norio’s contacts to try and get a rough estimate of the hangar’s size, which he calculates to have an area of about 46,200 square feet. The Aviation-dedicated website Foxtrot Alpha have also taken notice of Terraserver’s new images, and have been speculating about the possible purpose of this new massive building since 2014, in two-part post. I’m no Aviation expert, but common sense makes me agree with both Foxtrot Apha’s analysis that whatever the Air Force is pretending to store inside their new hangar has to be a) rather large; and b)very sensitive. 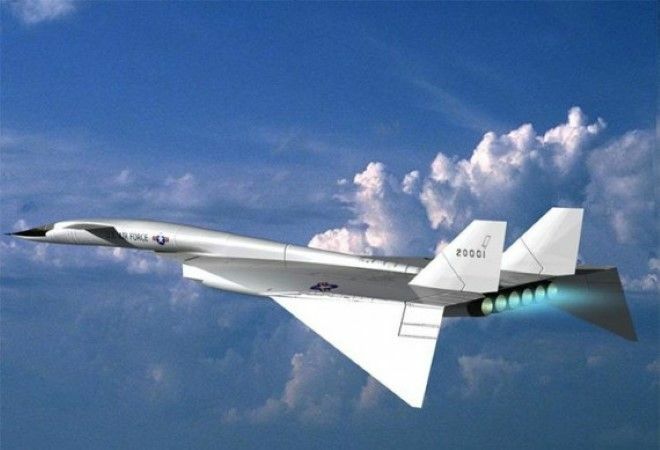 A new hypersonic prototype perhaps, capable of surpassing the SR-71 Blackbird’s Cold War-era speed records? A new stealth bomber to replace Northrop’s B2? A mothership-parasite platform capable of putting a small rocket plane in orbit? One of those hybrid blimp-like ships intended to carry large amount of cargo and personnel to the battlefront, or conduct surveillance during extended missions? Or what about something a bit more exotic, like the supposedly super secret aerial vehicles which are said to be behind so many sightings of huge, black, triangled UFOs? Here we enter the mined field of the legendary TR-3B, a huge nuclear-powered, anti-gravity platform which would make Nick Fury greener than the Hulk with envy. The TR-3B has also been said to operate on the principle of rotating mercury, which links it with both the mystery of the Nazi Bell and the ancient vimanas. Unfortunately, the existence of this or other breakaway vehicles have never been confirmed… yet. And although the purpose of Area 51’s new hangar will be probably be more mundane and less UFO-like, it still proves the Air Force has no immediate intention to retire its historic top-secret military aerospace testing facility any time soon. Who knows? Maybe they’ll end up having the bigger laugh yet, by using this new distraction to divert us all from where they keep the REAL reversed-engineered alien craft, at Area 52 –just like Bugs and Daffy were saying all along.